The EUR/USD refuses to break below 1.35ish so far. We got a dip below 1.35 but on a daily basis we couldn't close below it. 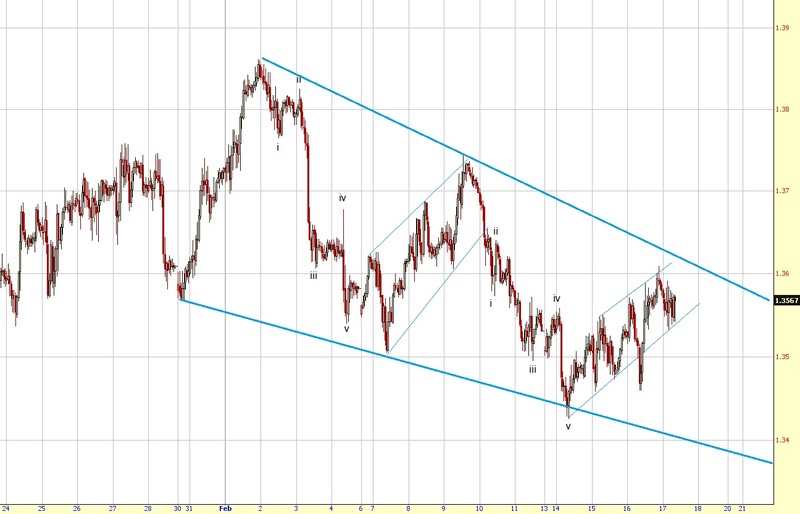 So far we can count three waves down from 1.386 thus it could be a completed zigzag, i.e. 1.343 was the low and higher prices are to come. This scenario is very likely if we break out of the wedge and get a rally above 1.3750ish. My preferred scenario though is that we got a i-ii-i-ii from 1.386 because the rally from 1.343ish looks corrective i.e. another move lower is very likely. I still think that if we get a convincing break of 1.35ish we'll see much lower prices later this year.